To be able to passionately do what we love, with our amazing couples, during the most important time in their lives, is not only rewarding but so much fun. From the moment we first hear from you, our team promises to go above and beyond to ensure you have the very best experience with us. At Rene Zadori Photography, we strive for the ultimate customer experience, every single time. If there was an option to give 10 stars I would! Where do I begin?? Your wedding pictures will be memories you will share with your children and children's children years to come. These are the images that will be memorialized forever. Both Allen and I cannot begin to express our happiness and how much in awe of the images Rene and his team captured. To sum him up in one word...gifted! What a talent and visionary!! But the talent doesn't stop there his associate Zej was also beyond amazing! Rene is truly a professional and knows how to direct! Allen and I are not models by any means. I thought I would feel so awkward and wouldn't know how to pose for the pictures. What a relief when Rene directed us so effortlessly and in my opinion made us look like we were professional models! We felt so comfortable and so guided. Never in my wildest dreams did I imagine the images to be so very perfect! Such great attention to details and this ability to capture every single emotion!! His work is priceless and timeless! We will be using Rene and his team for years to come! To say that we are obsessed with Rene and the team is an understatement! We will be clients for life! Im sharing a handful of pictures we loved from the preview of the final images. Ps. You often hear people getting their wedding pictures months after their wedding...I just got the exciting news that our pictures will be available next week!! We cannot wait to relive our special days again! Thank you so much Rene and team! We love you!! #obsessed. Rene was a picture perfect photographer! From the moment we booked him, he was the most professional and easiest vendor to work with. He facilitate the process of planning and arranging the timelines and listening to our feedback on what pictures were important for him to capture. The day of our wedding he handled everything as the true professional that he is. Now are families are both big, and capturing the special moments with them was important for us. Rene made it happen! After the wedding, no one could stop talking about how great of a photographer he was and really went the extra mile to capture those perfect moments. The editing and receiving pictures was also a smooth and easy process and our pictures became the big topic of conversations among our friends and family! The quality is unbeatable and you'll treasure the experience and images forever. Brides everywhere- stop your searching! You have found your perfect wedding photographer. One thing I never had to stress about during my wedding was photos and videos knowing I had Rene by my side. He has a level of wedding photography that CAN NOT be matched. He will make sure every single hair on your head is in place before snapping your photo. You will be amazed to see how hardworking him and his team are. He is basically your wedding planner, maid of honor, & photographer all in one -as he will guide you through your day. He will make sure you look perfect and wow you with capturing every single moment to perfection. His creativity and visions are beautiful. Rene and his assistant Zej made my husband feel so comfortable during the photos! My family and friends adored him and multiple people called me after my wedding saying how incredible my photographer was. They could just witness the art in his photos. I really LOVE taking photos so I knew I wanted a photographer that was even more OCD about pictures than I am. He is truly a perfectionist. We did our engagement photos with Rene and incorporated my husbands old classic cars that we love into the shoot. Rene killed it! My phone was literally buzzing off the hook after posting these photos. He saw my vision and mastered it beyond what I could have dreamed of. He captured our relationship and personalities perfectly. Trust me when I say this is the best decision you will ever make for your wedding. Once your wedding is over, the cake is finished, dress is boxed and put away, flowers are dead- the ONLY thing you have for the rest of your life to remember your wedding is your photos and videos. This is NOT something to take lightly. Stick with the best in the business and that is Rene. All we can say is WOW, and WOW! What excellent work & service that we received from Rene and his whole team from beginning to end! We happily hired Rene to do our pre-wedding photos, and wedding photos & video. We couldn't be happier with his work and the results. We loved that his entire team team was extremely professional, as this is hard to find in the wedding industry. And of course, once you see the results, it will be beyond your own imagination. We would definitely highly recommend him! Where do I start? I can't even begin to explain our satisfaction with Rene and his entire team. My husband (still kinda funny to say) and I are not your typical 'bride + groom' we had so many reservations about our photographer for our wedding. We are awkward, simplistic, cannot stand forced or phony looking photos, and so much more. So, to say we were nervous in choosing our photographer is an understatement. From the very start of reaching out to Rene and his team, we were told that our date was already booked, but given the option of Rene's lead photographer Zej. Now, most people would think that this would mean a second tier option/service, but believe me when I say they treated us no different than had we been their first client for that given date. Our experience from the moment we met with Rene and his team, to booking our date, to half way thru when I sent an email of approximately 20 questions, to the week prior to our wedding and all the way up to the actual day was PHENOMENAL. I wish I could display my ridiculously long email here and the well thought out lengthy/detailed responses I received from the team to assure every single bride that this photography studio is not just about producing images you will cherish for the rest of your life, but furthermore about providing you an experience you will also remember fondly. They made us feel so special and the attention they provided was something we will never forget. Honestly, I've spent all this time talking about the level of care and professionalism because I consider it an added bonus to the fact that the talent + skill makes me wholeheartedly say that they are the best in the business! I can go on for paragraphs and paragraphs, but all you need to know is that THIS IS THE TEAM YOU WANT TO TRUST FOR CAPTURING YOUR SPECIAL DAY! Thank you again, Rene Photography has gained a forever client. Rene and his team are the true definition of class and professionalism!! Recently we contracted Rene to do our wedding pictures and videography, quit simply my wife and I were left speechless! From the pre-wedding shoot to the day of, Rene guided us to the most amazing photos and videos we have ever seen! He helped organize the wedding day to a tee and left no stone unturned. Our bridesmaids and groomsmen were a lot to control but Rene and his team did it so effortlessly!! I would recommend Rene to any and everyone - you will truly not regret putting him in charge of your ever so special day! Thank you for everything! By far THE BEST IN THE BUSINESS! Highly recommend for both wedding photography and videography! We are sooooo happy we choose Rene Zadori for our wedding pictures and video! From the beginning, it was so easy to work with Rene and his work is truly amazing. He helped us choose the right package that we were looking for and we even included a pre-wedding photo session. If we had any questions or concerns with anything, we were able to communicate with him and he would get back to us promptly. The pre-wedding session we had was so much fun and he took many angles and different backdrops for us to choose from. Rene and his team were there the whole time for our wedding and they know exactly how to get the perfect shots. He knew exactly how we should pose and made it a breeze on the most important day of our lives. It has been so hard for us to choose our wedding pictures because almost EVERY shot is that beautiful- no exaggeration- EVERY. SINGLE. SHOT. The photos he takes truly are a work of art. He send us our short wedding clip and almost everyone that I show it to starts to cry from happiness. Thank you times infinity to Rene, Zedj, Eniseh and his whole team for creating such flawless work. You guys were awesome! Rene, I am so speechless with everything you have created for us. I am honored I got to have you behind the lens of our very special day. Where do I begin with Rene and his entire team. If I could rate them 20 stars I would. When we had our first consultations it was so thorough and well planned out, from A to Z knocked it out every thing for us. Not to mention that Rene's portfolio speaks for itself. That was our initial experience with them to kick start an amazing 8 month journey with him and his team. They answer back so quick if you have any questions what so ever. What stood out the most for us was how punctual him and his team are. For our pre wedding photoshoot both Arvin and I were sick so you can only imagine what a pain we were, but they still manged to deal with us and made the whole day such an amazing experience, plus we really needed the practice. Our wedding day went so perfect because of Rene and his team. We had some hiccups along the way that I'm not sure if any one else would have know what to do. They made our entire day so amazing and we felt so comfortable around them, considering how shy Arvin and I are with photo taking. Our photos look absolutely stunning, breath taking. Thank you Rene and team. We truly appreciate you and you're entire talented staff. I could not have been happier or more thrilled working with Rene and his professional team this past weekend for our wedding! I am so grateful and this has been such a positive experience. I highly recommend him. I met with Rene about 5 months before my wedding, to discuss hiring him, after looking at his portfolio and seeing his ability to take both candid shots and very well staged shots, I was over the moon that we found our photographer. Rene sat with us and discussed the day of timeline at that time so I was prepared when planning all the other moving pieces. He also discussed with about advising him on who the important friends and family are so so he knows to take enough photos of them (I don't think many photographers are forward thinking like him). On the wedding day, Rene showed up earlier than planned to make sure he got the details shots, I was running late with hair and make so after church he brought me back to take more photos, making sure he didn't miss anything. Since our hotel was in Beverly Hills I wanted to make sure we get shots on Rodeo and on the streets in BH (namely Wilshire) and he was super amendable to the idea. He went above and beyond to make sure he got the amazing shots. Overall, he made the day amazing, he was professional, on time, and on board if you shared ideas. He stayed until the end, 2 am and got all the shots. He never complained, he works with an awesome team of guys, and is just so on top of his game. I've been a fan of Rene Zadori photography since the very first photo I saw posted on his social media account. All of his photos are flawless, and tasteful - without being overly done or edited. After researching countless photographers, I found that many wedding photographers overly edit their photos making the bride and groom look almost unrecognizable. The photos are so dramatic it almost looks cartoon like, two beautiful people in a video game! Rene Zadori Photography is nothing but perfection! His photos are timeliness, romantic, flawless, and just overly stunning! Rene photographed my Bridal Shower this May. He needed no direction at all. We fully trusted him to execute our vision for this special day. Of course - HE DID! I received the best compliments from everyone who saw my Bridal Shower images. The photographs are a piece of art that will be hung in our new home for years to come. It is with great pride that we will show our future children these stunning images of mommy and daddy someday. Let me start off by saying Rene Zadori and team are the best in the industry! My friends and I have used Rene many times for all different occasions, and let me tell you that I have been impressed every single time! I just recently got married in November and used Rene for both photography and videography, and I can't express to you how happy my husband and I were with our decision. We would have not wanted it any other way! Spending our most special day with Rene's team was truly a great experience. They made us feel very comfortable and guided us throughout the whole process, making it seem very natural and fun at the same time. I am in LOVE with all my photos and I'm having the hardest time choosing my favorites because there's just so many we love! Thanks to Rene's amazing work, my wedding was recently featured on a wedding blog which was so exciting to see! As a bride and someone in the event industry, I would highly recommend Rene Zadori Photography and not think twice about it. I promise you that you will be most satisfied with his work and outcome of all your photos and video. Always keep in mind that pictures and videos are all you have at the end of the day, and Rene is amazing at what he does and will capture every single moment of your special day. Thank you Rene and team for your outstanding work! My wife had told me that she the main important part of her wedding was the photography and videography, so we focused most of our attention on making sure the moment was captured perfectly. The booking process with Rene and his team was flawless from the first time we spoke until we actually met to sign the papers. Rene guided us through the entire wedding day and about a week before he sat and went through all the fine details of the special day. When the day came Rene and his team were on schedule and were most importantly making sure everyone else didn't get in the way of our photography which was a big big plus. For the entire day no matter where you looked you saw Rene and/or his team taking shots of everything. They never lost a step and kept pushing forward with more energy than I have seen a vendor have. This team as a whole deserves nothing but praise for my wedding, and judging by their reputation already they deserve it all. Thank you Rene for creating the perfect images for us that we can cherish forever. You will not be able to find a more patient, yet passionate photographer like Rene. He will make sure that your photos are the best they could possibly be. We decided not to see each other before church which made it romantic but also meant that we didn't have a lot of time before our reception to take many photos. We ended up doing the bulk of our photos after church in the courtyard, since we had no time to go to another location for our portraits. But the way Rene captured these images, the in the short amount of time that he had there, it looks like we had a full blown photoshoot at a completely different location. We loved that he was willing to work with us every step of the way, and delivered a beyond amazing product. We could not be more happy with the results! 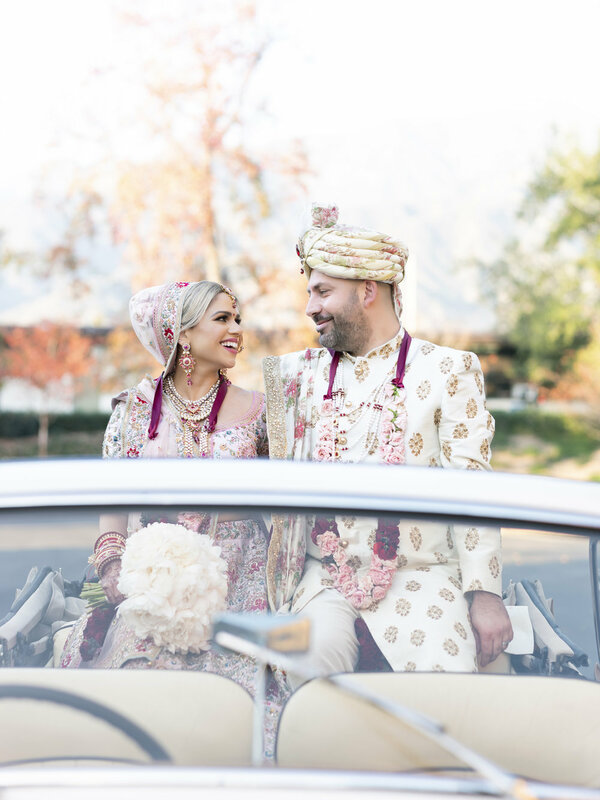 We recently got married here in Los Angeles, CA and of all the wonderful things that happened on our wedding day, selecting Rene Zadori Photography was MOST definitely one of the best! Rene and his team were so kind, caring and professional. All our needs were met prior to the wedding, on the day of and following the wedding day! Prior to the wedding, Rene kept in touch with us continuously, answering my many calls, texts and e-mails. He told us what to except and helped us throughout the entire process. On the day of the wedding, Rene and his team captured every moment. We had a large bridal party so it was a lot of work on his part but he got the job done. We are BEYOND satisfied with our images. Since the wedding Rene and his team are still in touch with us to make sure we get all our images, videos and albums. I can't believe how fast we received everything! We are SO thankful to Rene Zadori Photography and HIGHLY recommend him for special day! The moment I got engaged, I knew that I wanted Rene to do our photos and video. His work speaks for itself so it was an easy decision booking Rene and his team for our most special day. When we took our engagement photos we were literally obsessing over them and knew our wedding pictures would be just as spectacular. Up until the day of the wedding and even after the wedding, we received such amazing service from Rene and his team. Not only are they professional but they are also super fun to be with on your wedding day. It was truly an awesome experience. Also, even though we had an event coordinator, Rene and his team also did a great job of ensuring that everything went smoothly on our wedding day. We can't thank you enough!!!! Where do I begin with Rene Zadori & his entire team!! I have too many great things to say about our experience with them but I will keep it short to what matters most: experience & professionalism. We chose to go with Rene because his portfolio speaks for itself. We had an amazing time with our pre wedding photo shoot so I knew our wedding day photos would come out incredible. The entire team makes you feel so comfortable and makes sure you are having fun so your photos come out natural & beautiful. They are very punctual & responsible and get back to you in the time they have promised. That's what I appreciate most about this team, they understand that these imagines are important to you so they make it priority to get back to you on time. Thank you so much for the amazing experience!